The Twin bedroom is spacious with its own cable TV and wireless internet access. 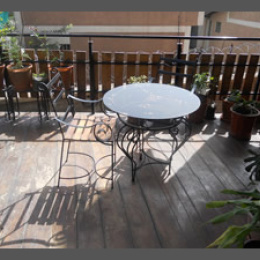 Ample space for two and a view towards the green open spaces make this a pretty cool room for your stay in Addis. 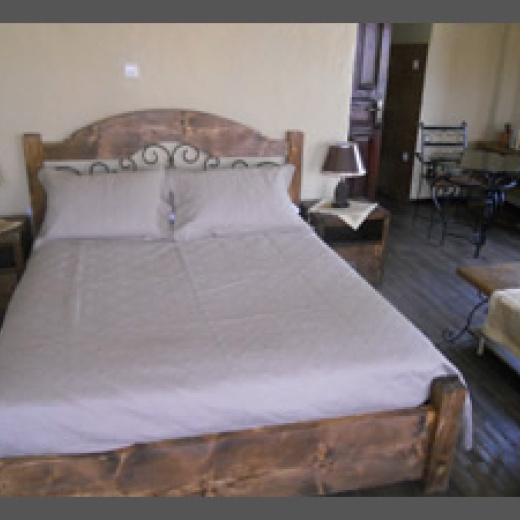 Located midway between Bole Airport and Bob Marley Junction (Imperial Roundabout), AREQU is a small family guest house furnished with antique elements from residences over half a century old. All the furnishings are handmade by the family itself. The rough and rustic interiors, warm colors and a family to look after our guests is an environment we invite our dear visitors to experience. All the doors and windows are bought and restored from the era of the Emperor (Haile Selassie). All our doors and windows are at least fifty years old some dating as far as seventy. Our floors are also restored timber from the same era. Some of our rooms have floors in stone from the town of 'Ambo', well-known for its rock and stone beauty as well as its famous naturally occurring mineral water. 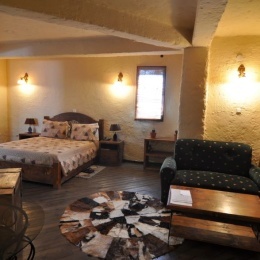 Yet we have not gone to the extremities of our likings for respect of our guests and have limited our stone rooms to only two and used comfortable but conventional floors for the rest. This house provides privacy for our guests and their friends to come and enjoy. The dining room on the ground floor serves breakfast for our esteemed guests. Lunch and dinner are prepared by the family on request but our guests are free to use the space as they would use their own home. 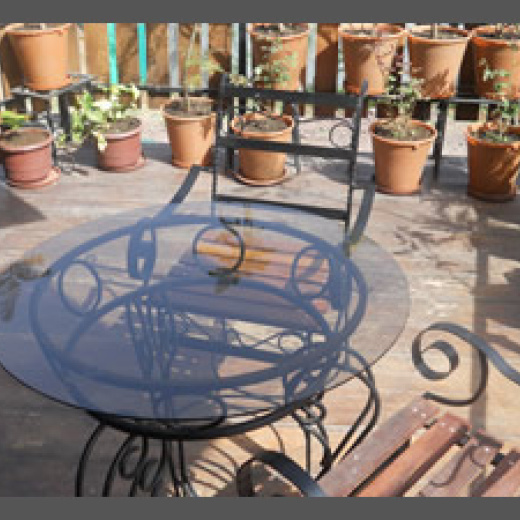 Tea, coffee and cookies are served throughout the day in the common area which guests can freely use as they need.